The Defense Advanced Research Projects Agency (DARPA) has recently awarded separate contracts to Palo Alto Research Center and Sensor Electronic Technology, Inc. in support of the LUSTER program. DARPA’s Laser UV Sources for Tactical Efficient Raman (LUSTER) program seeks to develop compact, efficient and low-cost deep-UV lasers for highly deployable biological and chemical agent detection. The goal is to create a new class of UV lasers that are more than 300 times smaller than current lasers and 10 times more efficient. The resulting technology could be dropped into current detection systems to save size, weight and power or to create new systems that are smaller and more sensitive. The contract awarded to Palo Alto Research Center is valued at $2,884,534. 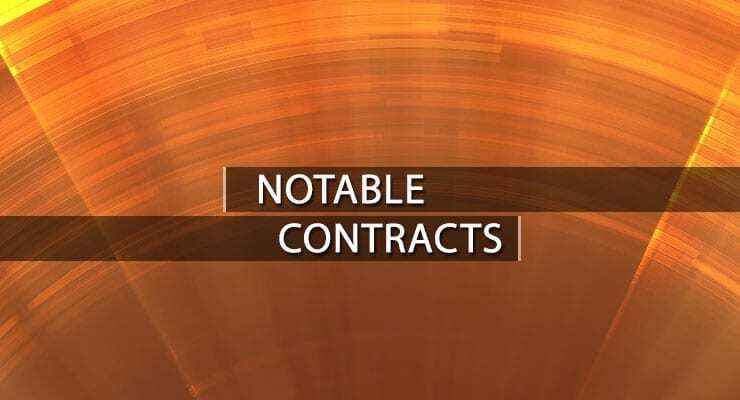 The contract awarded to Sensor Electronic Technology, Inc. is valued at $2,718,184.